PLDT and Smart Communications recently installed high-speed internet in the General Santos International Airport to serve the increasing demand for mobile data services among travelers, both local and foreign. The deployment is part of the first phase of the nationwide rollout of carrier-grade Smart Wifi in key transport hubs such as airports, seaports, and mass transport systems nationwide, including MRT and LRT in Metro Manila. 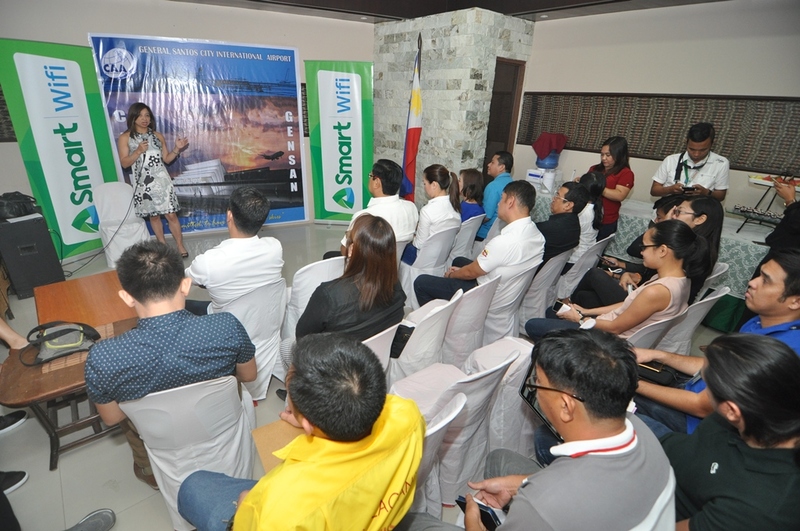 Smart has allocated close to P1 billion this year for the rollout of Smart Wifi in public spots all over the country to address consumer demand for high-speed internet as more Filipinos embrace the digital lifestyle. General Santos International Airport serves the provinces of South Cotabato, Cotabato, Sultan Kudarat, Sarangani, and the independent cities of General Santos, and Cotabato. The installation of Smart Wifi also coincides with the airport’s ongoing development, which is considered one of the priority projects under the Mindanao Development Corridors Program to enhance air connectivity for better movement of people and products. 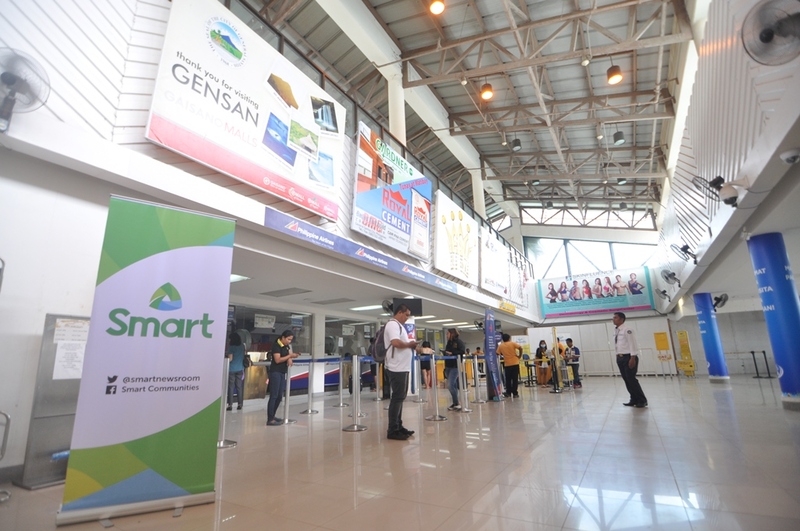 Smart Wifi is now available in the Francisco Bangoy International Airport in Davao City; Laguindingan Airport in Misamis Oriental; Bacolod-Silay International Airport in Silay City; Iloilo International Airport in Iloilo City; Roxas Airport in Roxas City; Zamboanga Airport in Zamboanga City, Clark International Airport in the Clark Special Economic Zone in Mabalacat, Pampanga, Dumaguete-Sibulan Airport in Negros Oriental, and Laoag International Airport in Laoag City. Soon, Smart Wifi will also be reinforced in all four terminals of the Ninoy Aquino International Airport, as well as installed in other airports, including that of Cebu, Kalibo, Caticlan, and Palawan and Bohol. 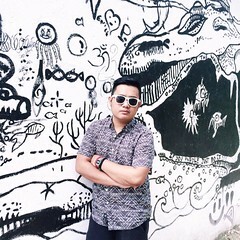 “More Filipinos are making the digital shift. With a backhaul of up to 1 gigabit per second, Smart Wifi users in General Santos International Airport will have seamless digital experience whether surfing the web for their favorite sites, or keeping connected with home and office while travelling. With our suite of digital content and relevant services, waiting at the airport is now enjoyable, and productive,” said Kat Luna-Abelarde, FVP and Wireless Consumer Operations Head at Smart. “The deployment of carrier-grade Smart Wifi in 24 key transport hubs, including General Santos International Airport, is our answer to the government’s call and the public’s clamor for more Wifi hotspots in the country. It is also a strategic business move for the PLDT group as this will help us understand and shape usage of the fast-growing data business,” said Eric R. Alberto, EVP for PLDT/Smart, and president and CEO, ePLDT. The deployment is backed by the group’s robust and resilient wireless and fixed-line network infrastructure, and is part of Smart’s three-year massive network modernization program to handle the expected rise in data traffic. PRESS RELEASE from Smart Communications, Inc.